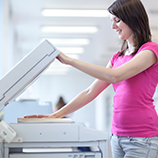 Every business will need to make copies at some point or another, and most businesses need to make copies often enough to justify having their own copier. When you rely on the copy center down the block to make the copies you need, you’ll have to pay more for every copy, because they are using the cost of the copies to pay for their own machines. 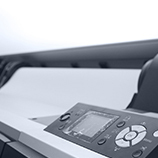 Additionally, having your own copier means that making copies will be easier, faster and more convenient. Best of all, you won’t have to worry about working with a copy center’s hours when you have your own copier. In this day and age, more and more businesses are going paperless. And, while you probably won’t need to do all of your business on physical documents, chances are, some things will need to be done that way. The last thing that you want is to have to take a trip to the local printing shop when you need to print something. 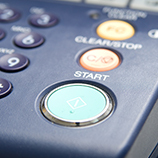 Having a printer means added convenience in your day-to-day operations. It’s not uncommon for businesses today to do the vast majority of their work on a computer. However, this doesn’t mean that you will never need any desk supplies in your office! Every office needs the same basic desk supplies, which include pens, highlighters, paper, post-its, paper-clips, tape, highlighters, a trash can, scissors, etc. Whether these things are used to keep yourself on schedule, jot down notes from calls with clients or as a part of your creative process, you’ll be glad you have them! No matter what industry your business is in, you’ll want to be as organized as possible. Organization helps to prevent hiccups that can hinder productivity and success, and it ensures that things run smoothly and all details are accounted for. But, in order to stay organized, you’re going to need some supplies. Organization supplies include notepads, files, labels, folders and more, and they are too often overlooked. In our next blog, we’ll be going over a few more pieces of equipment that you’ll need for your new business, so stay tuned to learn more. Why buy the equipment you need when you can rent it? As you can see, starting a business off on the right foot is going to require some equipment, and getting the equipment you need can get expensive fast. 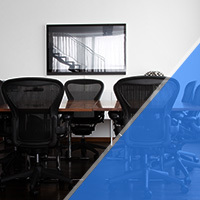 Luckily, there’s an easy way to get high-quality equipment for less, and Business Equipment Rentals Inc. in New York City is here to help. 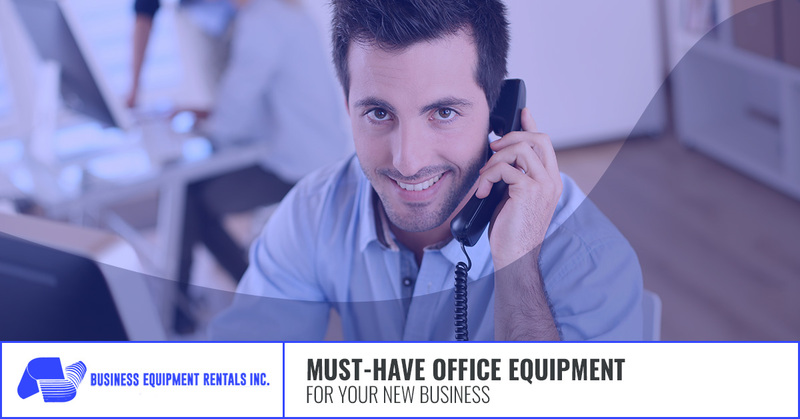 We offer business equipment rentals at affordable rates, and all of our equipment is name brand and top of the line. Contact us today to learn more.